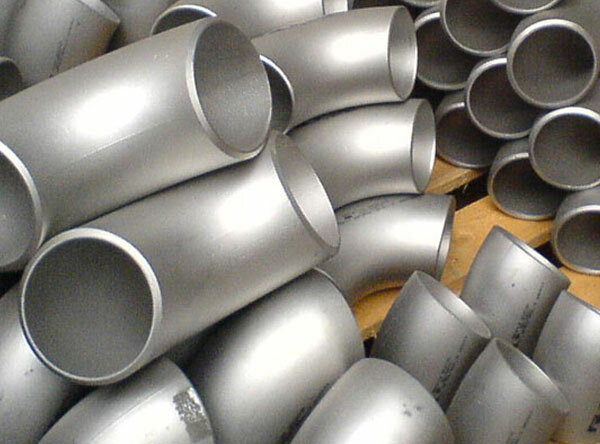 Monel K500 Pipe Fittings, Monel K500 ASTM B366 Thread Fittings, Monel thread fittings ASTM B366 elbow tee stubend, Monel K500 Buttweld Fittings, UNS N05500 Alloy K500 Pipe Fittings, Manufacturer, Supplier, Exporter, Mumbai, India. Calico Metal Ind Pvt Ltd leading Monel K500 ASTM B366 Thread Fittings manufacturers. We pride ourselves on being at the forefront of innovation in both product lines and after sales services. This is why we will constantly upgrade our products and services to meet market expectations and demands. Monel K500 is a nickel-copper alloy that is hardened by cold working only. Monel K500 has low corrosion rate in flowing seawater, therefore it is widely used in marine applications. Monel 400® also has excellent resistance to stress corrosion cracking in most freshwaters. Monel K500 can be used in temperatures up to 1000 ºF. The alloy has great mechanical properties at subzero temperatures. Monel K500 is very similar to Monel 400®except for its greater sulfur content. Monel K500 also has the same corrosion resistance and physical properties as the Monel K500 with a slightly different range of mechanical properties. Monel K500 was developed for good machinability. The machinability of MONEL K500 is difficult as it work-hardens during machining. The conventional machining techniques used on iron alloys may be used for this alloy. Welding methods including gas-arc welding, metal-arc welding, gas-metal-arc welding and submerged-arc welding are recommended on this alloy. Cold working may be done using soft die materials for better finishing. Calico Metal Ind Pvt Ltd Monel K500 alloy to countries like UAE, Bahrain, Italy, Indonesia, Malaysia, United States, Mexico, Chine, Brazil, Peru, Nigeria, Kuwait, Jordan, Dubai, Thailand (Bangkok), Venezuela, Iran, Germany, UK, Canada, Russia, Turkey, Australia, New Zealand, Sri Lanka, Vietnam, South Africa, Kazakhstan & Saudi Arabia.